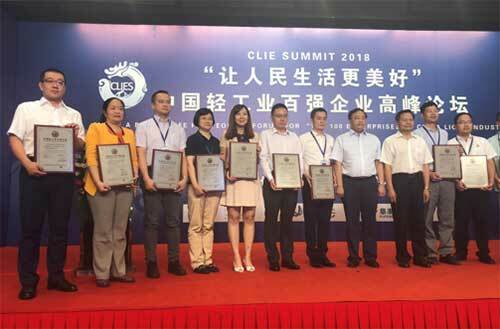 Yili Group, a major player in China's dairy industry, was celebrated as one of the country's Top 100 enterprises at the China Light Industry forum in Beijing June 20. The forum, which was organized by China National Light Industry Council, drew more than 500 representatives from leading light industry enterprises to share their visions of how to increase people's quality of life. Yili was also listed among the top 50 light industry food enterprises at the forum. Prioritizing quality and innovation, Yili has strived to meet the demands of customers, fielding suggestions and reviews through big data applications and using customer opinion surveys to focus development and launch products catering to different appetites.